In the latter days of the Ming Dynasty, there was a man from Shandong Province named Wong Long. He saw with his own eyes that China was going to fall to the Manchu invaders and thought for a time about devoting himself to the defense of his country, but though he strove to do so there was no way for him to obtain a position in the Ming army. So he instead journeyed to Mount Song in Henan Province and joined the Shaolin Temple there, where he studied the fighting arts with a view to using them against China's enemies in the future. When the Manchu forces breached the passes along the Great Wall and invaded China, Wong Long immediately went alone to fight against them, but owing to the presence of traitors who were selling out China to the foreign invaders there was no chance for a hero like Long to use his martial might. After the Manchu conquest and the establishment of the new Qing Dynasty, Long returned to the Shaolin Temple, where he organized the monks in a plan to restore the Ming Dynasty and to avenge China's humiliation by the Manchus. However, things did not turn out as he wished, since the Qing court learned of the details of the plot and ordered that the temple be surrounded and burned to the ground. Long and his colleagues deployed their extraordinary skills to protect the Master of the Shaolin Temple in his ﬂight, in order to prevent him from being seized and arrested by the Qing forces. They fled by a circuitous path to Mount Omei in Sichuan Province, and then to Kinming in Yunnan Province. They passed through several provinces one by one until they reached Mount Lao in Shandong Province where they established a residence for Buddhist monks (Note: Sifu Marlon was there). Not long after that, the monks’ Master passed away and one of the elder monks among them was selected to manage the group's affairs. This monk regularly matched his pugilistic skills against those of Wong in order to break the stifling peace and quiet of the place, and every time that Long was defeated in these contests he was humiliated and he vowed that he would beat his elder brother [Not literally his elder brother, but figuratively so. ], in three years' time. With that, his elder brother left. One day after that, the weather was extremely hot and the monks found themselves shut up in their rundown dwelling and bored to death. Long then took his sword and sutras and went into a dense forest in order to avoid the stifling heat. When he reached the forest, a cool breeze was blowing gently and he felt joyful in both his body and soul. Just as Long opened then sutras and began to read them, he suddenly heard a wild sound of an insect chirping in a rather mournful way. When he looked up to observe it, he was a mantis [Tanglang in Chinese] engaged in a struggle to the death with a cicada. Relying on its two sharp arms, the mantis slowly pressed in on the cicada and before long the cicada had died in the mantis’ hands. mantis has a variety of moves, Including “adhering to”, “sticking to”, “collapsing” [Or “bursting”, the sound of collapsing], “pressing hard upon”, “dodging”, “feinting”, “jumping over” and “shifting places”. Three years passed by, and just when Long had developed his own unique style of boxing his elder brother returned from his wanderings. Exibiting his new style, the elder brother was amazed and asked Long how he had done it, whereupon Long told him the story of the day when he heard the mantis’ chirping. From that day on, there was no limit to Long’s ever-increasing knowledge of boxing skills, and he engaged diligently with his elder brother in study and practice of the pugilistic arts. Thus, the art of Tanglang boxing was gradually refined until it reached the point of perfection. Both Long and his elder brother passed away during the next decade. The monks of that temple deemed Tanglang boxing to be their most valuable treasure and were loath to demonstrate it to outsiders. However, one day an itinerant Taoist priest named Sing Siew was granted lodging at the temple for a time and it was from this time that Tanglang boxing was first transmitted to the wider world. Sing Siew further taught Tanglang boxing to one Lee Saam Jin of Haiyang County. Once Lee had honed his skills, he established a caravan protection service in Jinan in Shandong Province, whose fame spread far and wide. All of the green-wood heroes [This refers to men who lived outside the bounds of regular society, often studying martial arts and so called banditry, not unlike Robin Hood and his men] of the Yangtze River valley who learned of the reputation of Tanglang boxing’s lightning-quick moves studied it and Lee’s heroic name lasted throughout his lifetime. Lee had no progeny, so in his old age he traveled far and wide searching for a qualified person to succeed him. He traveled to Fushan County, where he learned of one Wong Wing Sung, he had recently passed the imperial examinations for government service in the military. Lee visited Wong’s home and requested that Wong display his skills so Wong obliged him with a display with his famed big sword. Lee watched to the end, but instead of praising Wong he said, “Is that all there is to your skill?” Wong was so infuriated by this remark and tried to throw himself at Lee, but before he could reach him Lee had already disappeared. While Wong pondered this, he suddenly heard the sound of laughter behind him, but when he whirled around to catch Lee he was unable to do so, and was instead checked by Lee. At this, Wong beseeched Lee to serve as his teacher and he subsequently refined his skills over several years under Lee’s tutelage. Lee then vanished, and no one knows whence he went. The Wong family was very wealthy. It did not present its sons as candidates for official posts, nor did he attempt to dazzle others with his fighting skills. Wong used Tanglang boxing as a pastime during his abundant leisure hours. In this manner, the years passed by one after another, with a decade like a day and Tanglang boxing became still more ferocious and advanced. 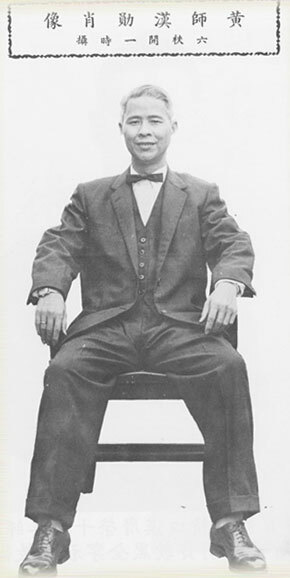 In his old age, Wong taught Tanglang boxing to one Fahn Yook Tung. Fahn possessed a tall and robust physique. He weighed more than 300 pounds and was called a giant. Fahn was moreover an expert at tiet shazhang (iron body conditioning). One day, Fahn was passing through a field in the countryside where two farm bulls happened to be vying with one another. When the bulls saw Fahn they thought he had come to attack them so both of them charged Fahn. Fahn saw that the bulls meant to inflict grievous harm on him and realized that it would truly be difficult to restrain them without employing his special iron palm and fighting skills. When the first bull reached Fahn, he concentrated all his might on his right foot, kicked it forcefully in its underbelly, whereupon the bull fell to the ground right after the thud of Fahn’s foot. When the other bull reached him, Fahn grabbed one of its horns with his left hand and struck it forcefully in the backbone with his right hand, whereupon it also fell to the ground. When the farmer who owned the bulls demanded that Fahn compensate him for the deaths of his two animals, Fahn retorted, “I was merely defending myself! Would you have paid compensation for my life had I been killed by the bulls?” With that the matter was laid to rest, but owing to this incident Fahn’s renown for great strength spread far and wide. Fahn in turn passed on his knowledge to several people including Jingshan Lin and Lo Gwong Yook. In 1918, the boxing skills of the Tanglang school met with admiration at the General Assembly of the Shanghai Jingwu Physical Training Association, whereupon association members were sent to Northern China and Master Lo Gwong Yook (6th generation) was chosen to go south to Shenjiang and take up the post of general instructor. When a National Athletic Meet was held in Beijing in 1928, his disciple Chengxin Ma attended the meet as a representative of Shanghai, and took part in a competition of striking with the fists (fighting techniques, or, San Sao in Chinese). The result was that Ma was one of the top contestants, and the papers in both Beijing and Shanghai vied with one another to cover him and Master Lo’s own reputation became ever more widespread. Before long Master Lo was ordered by the central general assembly (of the Jingwu Physical Training Association) to go South to Guangdong province. There Master Lo made an inspection of the Jingwu Physical Training Association branches in each area, including Hong Kong, Macao and the islands of the South Pacific. When his mission was accomplished, he hurried back to Shanghai, but just at that time war broke out with the Japanese at the Song River over the December 12th Incident, and as a result the Jingwu Physical Training Association was damaged and the association’s affairs were in a state of disarray. The person in charge of the Hong Kong Jingwu Physical Training Association deemed Master Lo to be the embodiment of the orthodox school of Tanglang boxing, and was loath to let this opportunity pass by, so he sent a cable to the Shanghai Provisional Office [of the Jingwu Physical Training Association] in which he urged Master Lo to come to Hong Kong. It was only from this that the people of Hong Kong came to know the real truth about Tanglang boxing. Master Lo left an extremely favorable impression on the people of Hong Kong, but unfortunately Hong Kong was occupied by the Japanese a few years later, and Master Lo was not willing to live through war and separation in Hong Kong, where patriotic Chinese and Chinese traitors were mixed together. He therefore bought a boat and returned to North China, but sadly fell seriously ill and passed away at Chunshen. This great master of learning and integrity thus withdrew from this world, and now lays dead and buried. Tanglang boxing was then transmitted to this writer's generation, the seventh such transmission over a period of 300 years. The above essay was originally published 26 years ago (Note: this was written in 1976) in my work Tanglangquanshu Chanml (An Elucidation of the Secrets of the Art of Tanglang Boxing). In recent years, I have discovered often in newspapers and magazines that those discussing the art of Tanglang boxing often draw the wrong conclusions by false analogies, or cite a portion of my own meager oeuvre and use it as evidence. They call the previous masters of Tanglang boxing tiaren [literally, "heaven person", sometimes used for a person of great ability] or shenxian [immortal, or supernatural being] and other such preposterous things, and although this is meant as praise is it not instead an insult to our forbearers? I therefore must add something here to clarify the matter. If you look at the work entitled Shaolin Zhenchuan (The True Teachings of Shaolin), you will find that there is no discussion of a record of transmission of the Shaolin teachings over the ages, and still less is there any exposition of the correct line of transmission. When Master Lo first arrived in Hong Kong and took up his post in the Jingwu Physical Training Association there, the Hong Kong Jingwu branch had just compiled a book entitled Shengqiu Shuankan (Seeking). The editor-in-chief asked Master Lo to contribute to the volume an essay introducing the Tanglang School of Chinese boxing. Master Lo had difficulty putting things down in written form, and so he asked Mr. Baoxiang Wu (an instructor of Taijiquan at the Hong Kong Jingwu Physical Training Association) to take notes while he described it orally. The title of Master Lo's essay was the same as the present one, and states at the outset that Tanglang boxing was created by someone named "Wong Long". When I returned from Hankow, I lived together with Master Lo for a time in the same room, and my Mandarin, which suffered from a Cantonese accent, had improved somewhat compared to before. (Note: They spoke different dialects of Chinese) I often asked Master Lo about many secrets of success related to Tanglang boxing. Master Lo unreservedly taught me everything that he knew. In the decade that I studied under Master Lo it was this period during which I learned the most. One day, I asked Master Lo what kind of person Wong Long was really. Master Lo replied, “I am certain that his family name was "Wong", but the name "Long" is like the word you Cantonese use for "So-and-so", so it just indicates that the person was a man and that is all!” The reason for this is that Wong's first name appears to have been forgotten. And in fact, Mr. Wu had already perceived Master Lo's intent, so when he took down Master Lo's words he used the name "Long" instead of "So-and-so Wang". [The character for "Long" used by Mr. Wu is similar but slightly different from the character used by Wong Hon Fun, as is explained in the next section. Both characters are pronounced ["Long"]. How about the matter or their having been only seven generations between Wong Long and myself? It is hard for there to have been more than 300 years of history in this time? Normally one counts 30 years for one generation, so seven generations is only a bit more than 200 years! There can he no doubt about the fact that from the second generation on, namely, from the time of the Taoist Priest Sing Siew, each of the masters of Tanglang boxing personally transmitted the art to his chosen successor. But the great point of doubt lies in the question of whether or not Wong Long personally transmitted the art to his chosen successor of Tanglang boxing to Sing Siew. 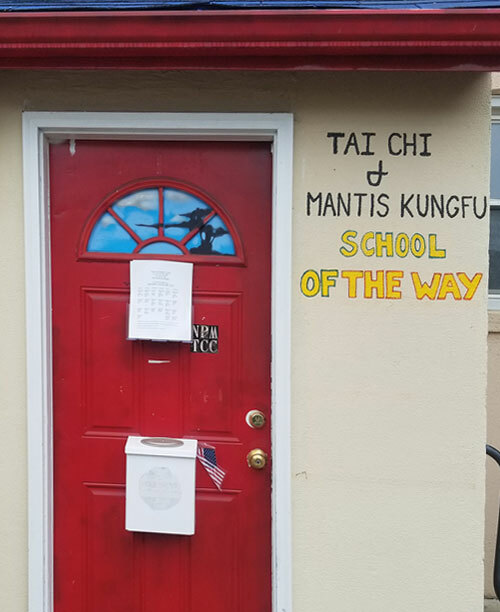 My own surmise is that the art of Tanglang boxing was only transmitted to Sing Siew through a generation of the Shaolin monks, roughly a century after Wong Long passed away, thereby making possible its glory throughout the world today. Northern Praying Mantis Fist, according to legend, was created by an abbot of the Huayan Buddhist Temple on Lao Mountain in Shandong China. Through history, this abbot was identified as Wong Long (1609- 1702) ; however, research confirmed that Wong Long was in fact a leader of the patriotic Chinese troops opposing the Ching (Manchurian) takeover of China. He became known as Yu Tchut (One of Seven), during the early years of the Manchu Dynasty takeover of China. Wong Long was known as Yu Tchut but his family nick name was Yu Le (My Music). He was born in Tangjiapo Village in the County of Xixia. He came from a wealthy prominent and highly respected family. His grandfather was a successful businessman, and his father served in the military towards the end of the Ming Dynasty before the Manchurian takeover of China. He was school educated during his youth. At the age of 14 he began to study martial arts under several Kung Fu masters. In Year 2 of the Reign of Emperor Chongzhen (1629 AD) he passed government tests and he reached the level of local martial arts expert (wu xiucai). 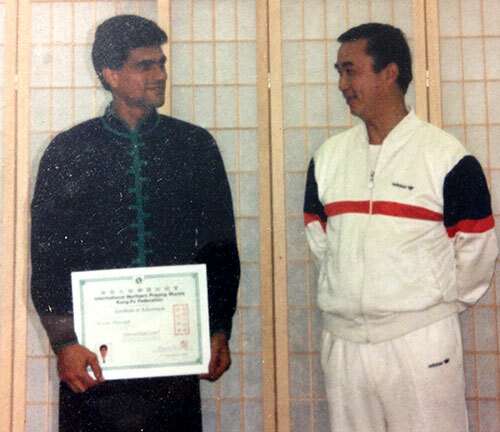 The following year he attained the level of regional martial arts expert (wu juren). Yu Tchut then was an honest and righteous person. In the following years he often helped relatives and others in the County to resolve conflicts as one of only seven arbitrators. He held a highly respected reputation with the people. He befriended many heroic personalities and Kung Fu Masters of all different types. Devoted to serving his country, he discussed politics with other like-minded individuals in Xixia and other neighboring Counties. Together they trained and practiced the Chinese martial arts. When the Ching (Manchurian) armies invaded into the borders of China in Year 5 of Emperor Shunzhi (1648 AD), Yu Chut (One of Seven) with the assistance of Dong Chiao and others, mobilized a massive rebellion against the Manchurians. With gold miners as the core of the “rebels”, he mobilized the peasants and the allying island fishermen as well. The Patriots established their military base at Jiaodong Sawtooth Mountain. they heroically fought against the oppressive Ching soldiers and the result greatly stunned the foreign Manchu rulers. However, under the Ching imperial Court's combined policy of attacking the rebels and pacifying the people (Note: basically, paying them off), Yu Tchut’s support wavered. He too was offered peace, and settled to surrender, thus the rebellion failed. 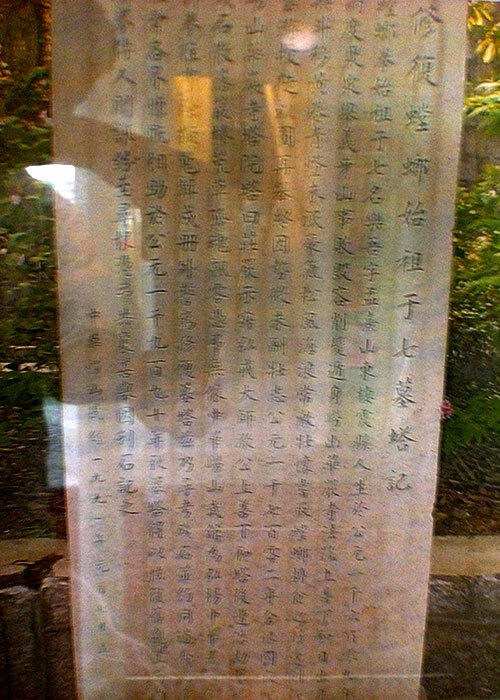 After Yu Tchut surrendered to the Ching rulers, he could not obtain their trust. He was treated unjustly by local officials, and he was further condemned by his own associates (Note: He became an outcast). With the advice from his old friends, he finally realized his error to surrender. In the Autumn of Year 19 of Emperor Shunzhi (1661) Yu Tchut led a second and much larger peasant rebellion against the Ching rule, again from Sawtooth Mountain. People from Deng and Lai prefectures responded and aided him in the rebellion. Anti-Ching fire spread throughout Jiaodong (Shandong). The Ching Imperial Court sent more than 10,000 “Eight Banner” soldiers and more than 20,000 “Green Banner” soldiers from the 9 provinces to siege and attack Sawtooth Mountain intent on putting down the patriot uprising. Yu Tchut and his army fought heroically even though they were greatly outnumbered; only Yu Chut (One of Seven) and 6 others survived this victorious battle and escaped death. After the battle the rebel patriot soldiers and their families were hunted down and slaughtered by the Manchu’s. Yu Tchut was one of the Seven patriots that survived a great historical battle to defend his Country against over 30,000 Manchurian invaders. In the spring of Year 1 of Emperor Kangxi, Yu Tchut made his way to Lao Mountain Dong Lu. He first chose Baiyun Cave as his hideout, but to survive starvation he decided to descend the mountain to seek food and his whereabouts was exposed. He was chased by Ching bounty hunters and in desperation he sought refuge at Huayan Temple. The abbot of Huayan Temple then, Cizhan, in quick thinking, asked Yu Tchut to close his eyes as he poured a pot of boiling water onto and irreparably scalding his face, blistering it and disfiguring it forever! Abbot Cizhan told the enquiring Ching soldiers who came to search for Wong Long that this particular monk “is suffering from small pox disease,” and thereby Yu Tchut (Wong Long) was able to escape detection and execution. The next year, Yu Tchut officially converted to Buddhism and became a monk at the Huayan Temple. He was given the Buddhist name of Shanhe ("Kind Harmony") and the warning name of "Jiche" ("Thorough Silence"). After Abbot Cizhan passed away, Yu Tchut became the head Abbot of Huayan Temple. At Huayan Temple, Abbot Shanhe (that is Yu Le, or Yu Tchut, or Wong Long, or One of Seven) (som many names he had!) not only devoted himself to studying Buddhism, but also to research and perfecting the martial arts. Truly he was "with his body and mind in the Buddhist realm, but his heart was in Jianghu, the political real world”. During this internal conflict he was moved and inspired by the fights the praying mantis insects had with other insects and thus created a new sect of boxing. By observing the Praying Mantis he invented a new fighting theory and sets of fist forms, to prepare the Chinese people for patriotic uprising use, which he named Northern Praying Mantis Fist. From then on, he widely recruited the monks under the guise of teaching the fist forms while he organized the locals and again prepared for another rebellion. However, during the reigns of Emperors Yongzheng and Qianlong the Country was in a ﬂourishing period, the organization never had an opportunity to act. 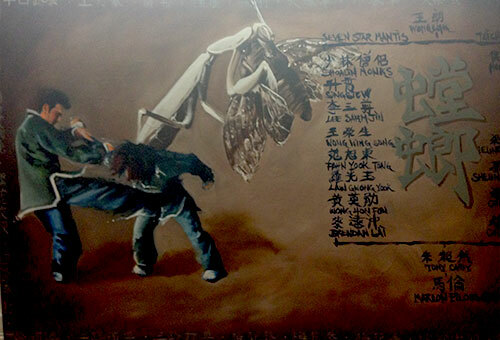 But, the Northern Praying Mantis Fist created by Wong Long was passed on through the generations and has become a unique and special branch of the Chinese martial arts. During the time Shanhe (Wong Long) was the Abbot of Huayan Temple, many forest outlaws and Kung Fu masters secretly came to visit him. According to legend, everyone who visited planted a "mali oak tree" by the side of the Temple. Oak trees were not native in the region of Jiaodong, the tree was called “zuo", and in the local district to rebel is to "zuo fan," the intent expressed in the similar sounding name, the resolute desire to oppose Manchu rule. Soon an entire oak forest was planted around Huayan Temple. They are the only oak trees of that type on Lao Mountain. (Note: When I was there in 2008, I did observe that at the site of the temple, and Wong Long’s stupa and tombstone, that they are in fact surrounded with oak trees). Now, Huayan Temple and Wong Long's stupa have been restored. Chinese legislature has honored Yu Tchut with a tombstone inscribed "Ancestor of Northern Praying Mantis Fist" along with this biography. Legislature also honored him with a memorial statue of Yu Tchut to commemorate his leadership of the patriotic, peasant uprising and his everlasting contribution to the Chinese martial arts.